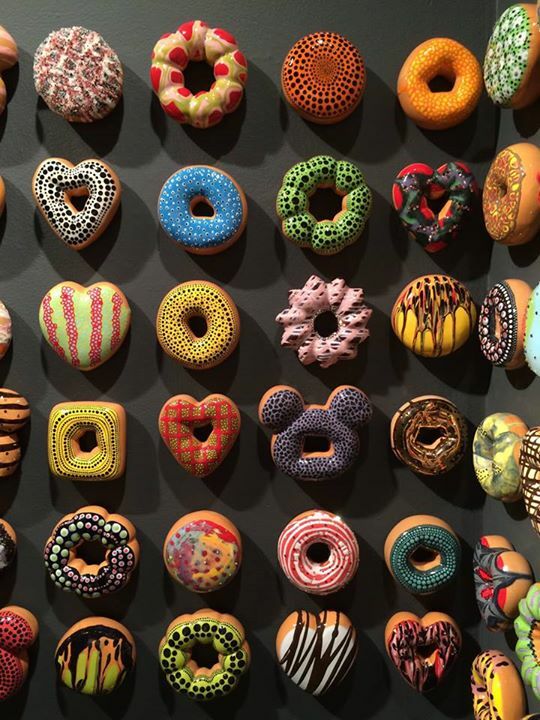 The New Jersey artist’s confections have distinctive colors, appliques and shapes (including a Disney version) that align with pop culture – the drips of Jackson Pollack, for instance, or Yayoi Kusama’s dots. Installation view (above) and detail. All images courtesy Lions Wier Facebook, here. 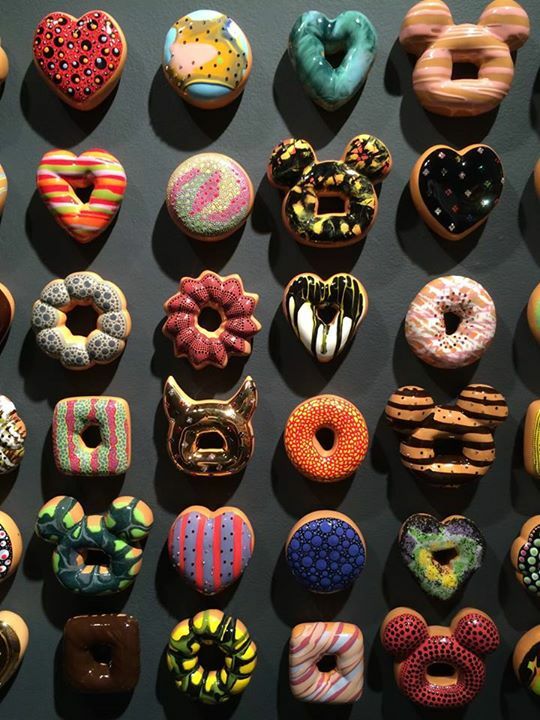 Now that’s my kind of donut. Extremely pleasing and satisfying without the guilt. Lol. Exactly, except I love icing and it’s so tempting to imagine eating some of those colors! 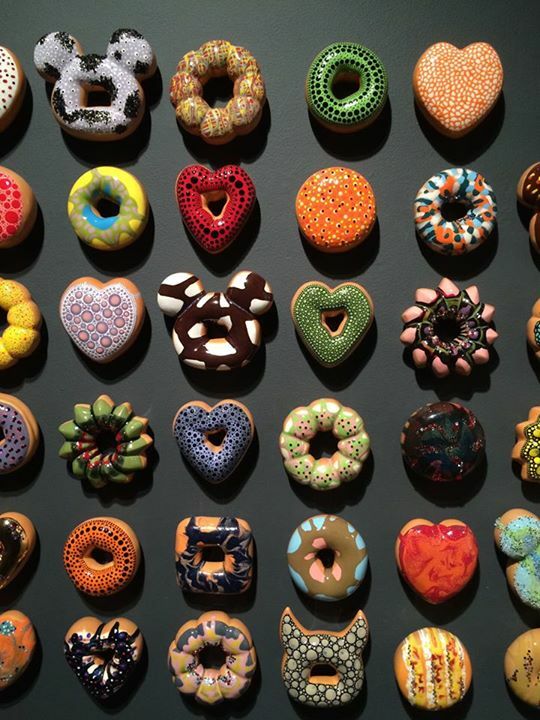 These are the most brilliantly enticing and delicious doughnuts I’ve ever seen. Whatever point the artist is making, they are certainly a visual treat and the sense of fun engages. I’m with you . . . great comment, thanks. Good point. 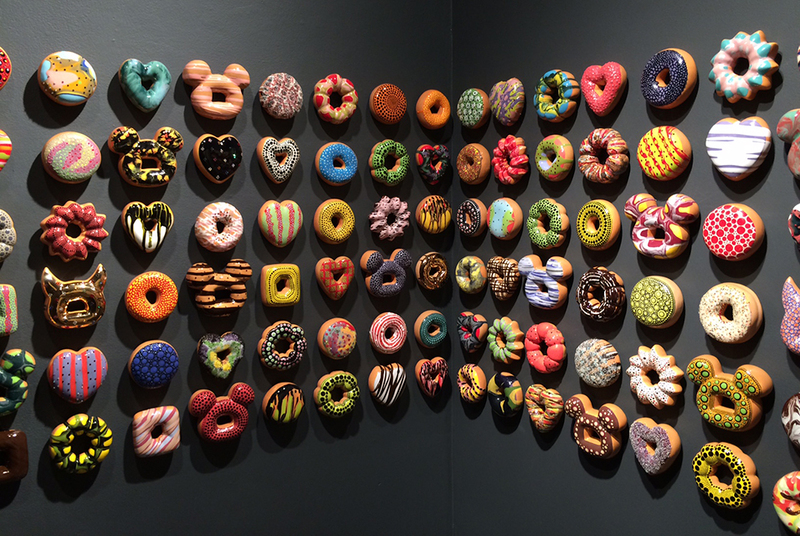 But I’d gladly dive into a thickly iced real one decorated like any one of these. And kind of your style, too!